About 50 supercars gathered for the U.S. debut of the Lamborghini Centenario at the Petersen Automotive Museum. 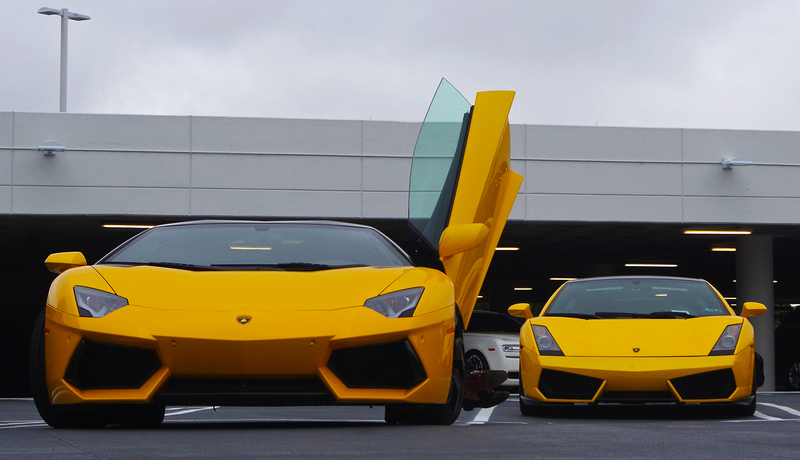 I loved the shapes in this photo, and check out the spiked loafers hanging out of the Aventador in the foreground. Photographed with a Pentax K50, edited with Adobe PhotoShop CC2015. This image was published 06/13/16 in a gallery on Jalopnik.